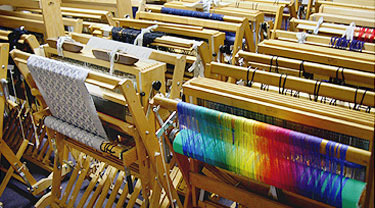 At White Rock Weaving Center, you can see more than 40 looms, of several different brands. We use most of them for classes. There are not many places where you can see so many looms at once! If you are interested in purchasing a new loom or a spinning wheel at White Rock Weaving Center, we can schedule an appointment for an individual lesson in comparing features of equipment. The fee charged for this consultation, $35 for an hour lesson, would become a credit towards the purchase of a new floor loom or spinning wheel. We offer a free 15 hour class to anyone who purchases a new floor loom at White Rock Weaving Center. Although we have a waiting list for our weaving classes, we will put the new loom-owner at the top of our waiting list and work our new weaver into a class as soon as possible. 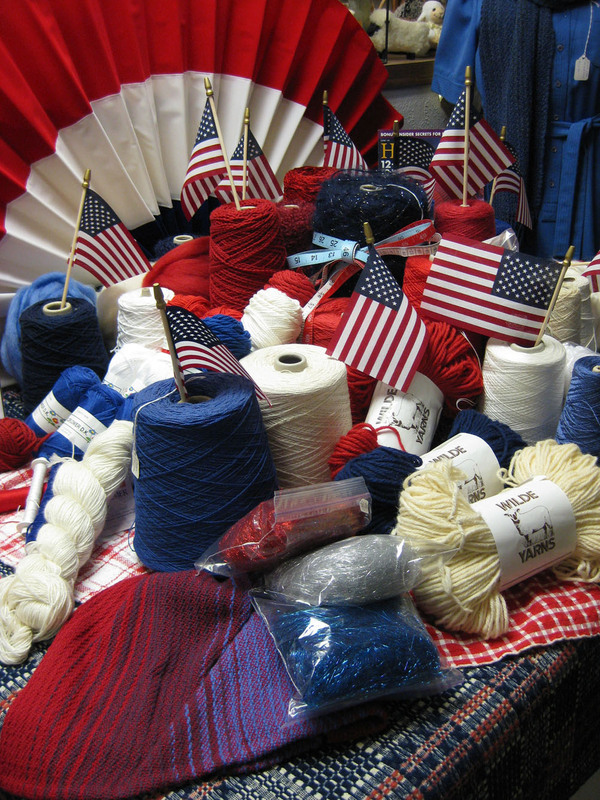 "At White Rock Weaving Center, I emphasize customer service. I sell products that I like to use myself, that I can support and service. I have been selling and servicing weaving equipment since 1988; I am very knowledgeable about the products that we sell. " 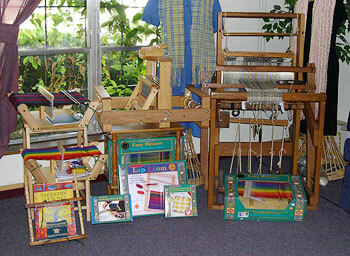 This is a sampling of small, portable looms that we stock. Some are marketed for kids, and we sell many for adults' enjoyment, as well! 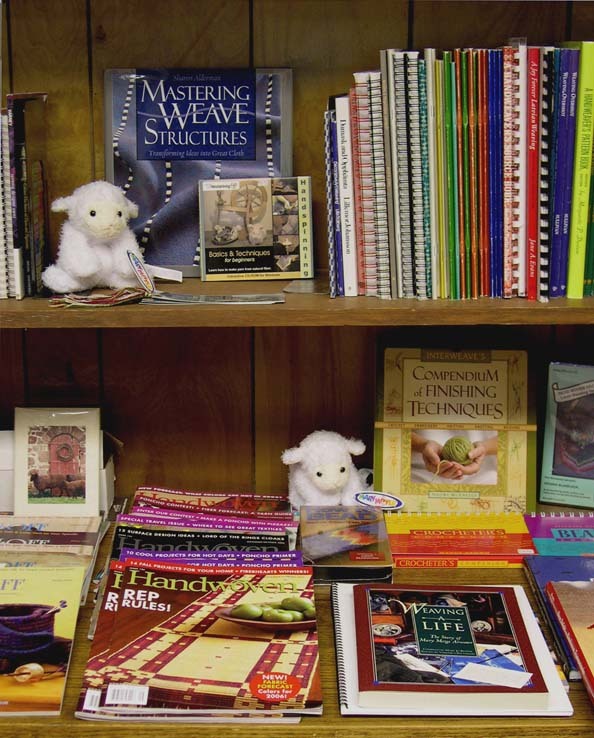 We carry a large selection of books, magazines, DVDs, on all of the crafts that we teach. If we don't have what you're looking for in stock, we would be glad to try to find it for you. 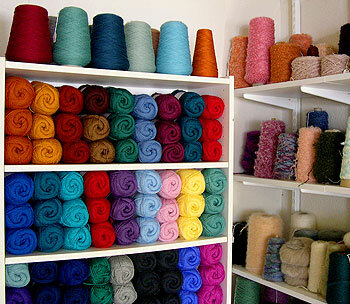 We stock a wide variety of weaving yarns, and some beautiful knitting yarns that work well for weaving. We carry traditional cottons, wools, linens, silks. 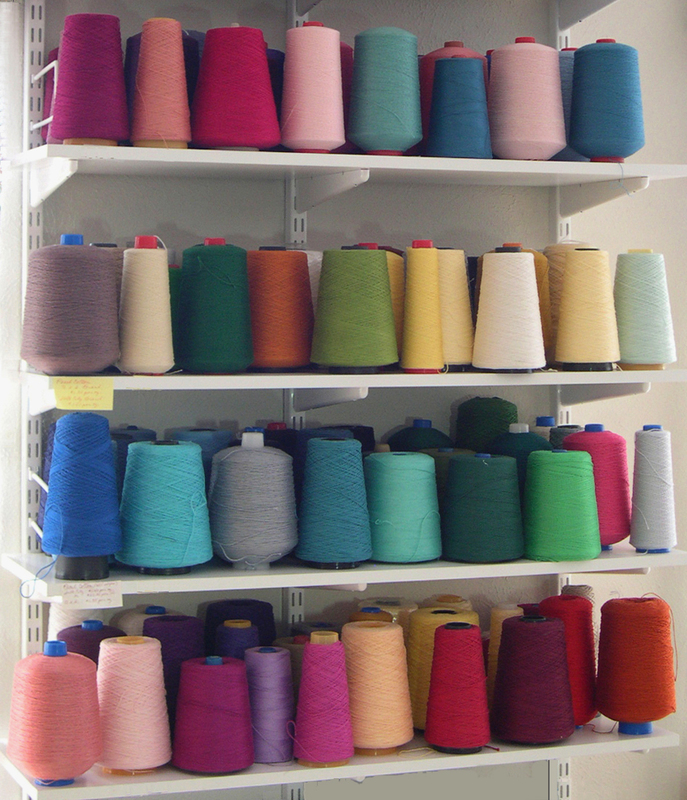 We also have some of the exciting newer fibers, including bamboo, tencel, sugar cane and sea cell. 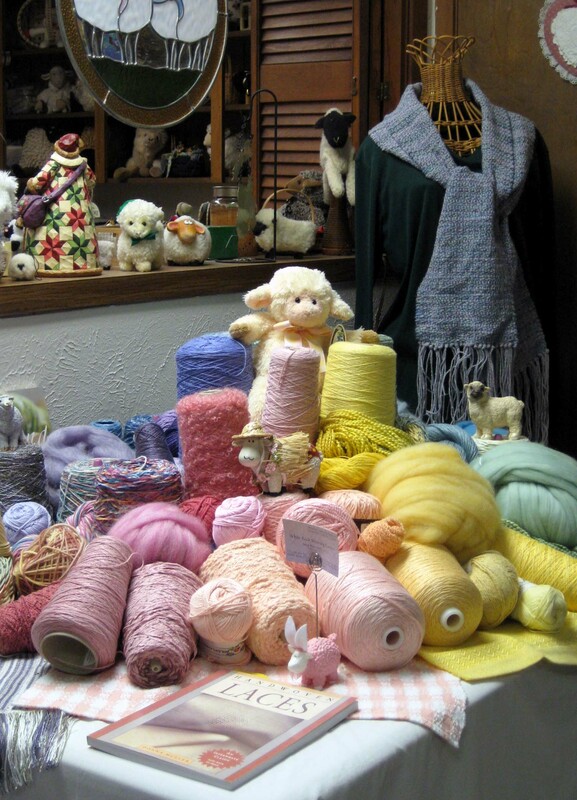 We offer a selection of novelty yarns, hand dyed and hand painted yarns, and more.